The unending stream of stuff that enters our homes can easily get out of hand. 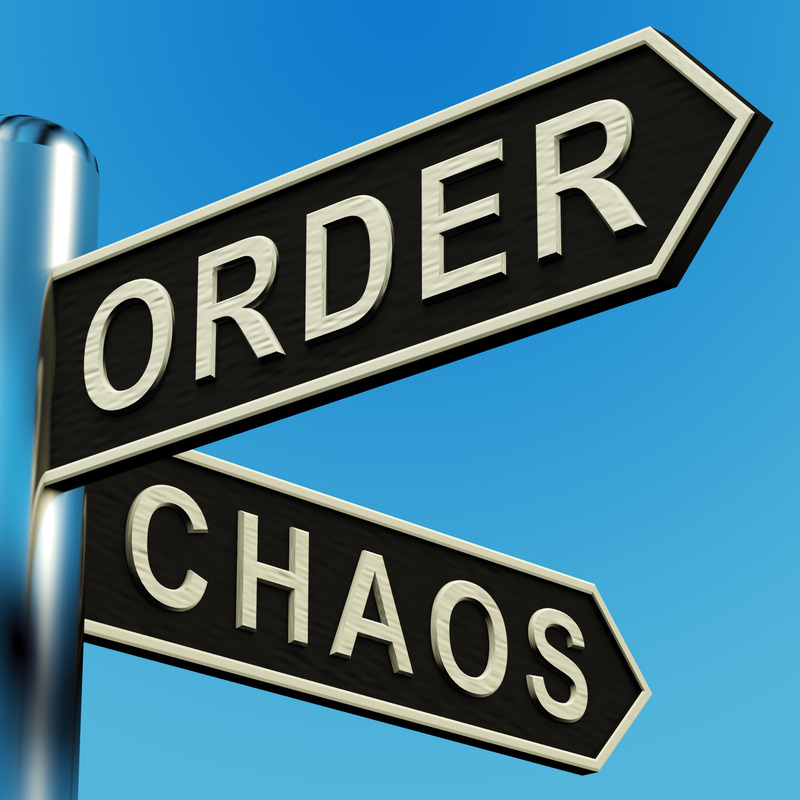 I find it stressful to live with chaos and disorder, so how can we dig ourselves out? Even if you’re home is already brimming with stuff you no longer want or need, solutions are at hand, and it doesn’t necessarily take a professional organizer to get you in line. Use these tips whether you’re just trying to recover order after a holiday or want to reclaim your space from years of clutter. Five minutes a day really does make a difference. Part of our resistance to purging clutter is that it simply becomes too daunting of a prospect. We become overwhelmed with the largeness of the task looming before us and then immobilized. It might seem counterintuitive, but the situation calls for setting smaller goals. Instead of telling yourself you have to clean out the basement or “once and for all get this house organized,” think in tiny, doable bites. While the pasta is boiling on the stove, take one pile of mail and go through it, or throw out a handful of items collecting dust in that classic repository, “the junk drawer.” When you get dressed on Saturday morning, take three items of clothing nobody wears from a closet and drop it into a bag that you will gradually fill and donate. After you brush your teeth, pick an item or two from your medicine chest that are dried up, expired or no longer used and discard them. Do a sweep through the house in search of old newspapers and magazines and put them in the recycle bin. You can go through piles of kids’ old schoolwork while you’re watching television, discarding what is no longer needed. Small, daily efforts really do add up. Take it a few inches at a time, and soon you will begin to see results, which will motivate you to keep going. Keep a sturdy bag in your closet and make a habit of eliminating an item of clothing to give away on a regular basis. If you buy three new shirts, you should probably get rid of three to make room for them. If you don’t absolutely love an article of clothing, or you haven’t worn it in a year, it’s probably safe to let it go. Likewise, keep a box or bin in your basement and periodically drop things in it for donation. When it’s full, drop it off and start a new one. If your house is exploding with toys, put half of them away for a month. The next month, bring them back out and store the other half. Everything will feel brand new again to your children, and your home will stay neater. Here’s the magic of setting five-minute goals for home organization. Once you get past the resistance of starting, something clicks. Five minutes of de-cluttering quite often results in enough visible progress to inspire five minutes more, and five more after that. Before you know it, you’re an hour into it and purging like mad, maybe even enjoying the process. But don’t go back to thinking big, or everything will begin to seem like too much again. Five minutes a day really will add up to significant progress. Odds are all these small efforts will also begin to change your daily living habits, so once an area is really organized, it might just stay that way. This entry was posted in Cleaning Tips, Organized Living and tagged Cleaning, Decluttering, organization, Organizing on August 26, 2015 by arich9. Everybody likes a clean home, but who wants to spend their weekends scouring, sweeping and scrubbing? Not me! Make the most of your cleaning time by staying ahead of the game with small, focused efforts, and break daunting chores into shorter, more manageable tasks that won’t gobble up your leisure hours. Saving housecleaning effort is much like saving money: small actions are an investment. They add up over time and pay off big in the long term. Keep toiletries tucked away in drawers or closets to eliminate unnecessary dusting. Consider a vacuum solution like Vroom to clean makeup, hairs, and powders from vanity counters after your bathroom routine. Scum-fighting shower spray in the shower every day will go to work on its own to prevent buildup. Spot clean the toilet and surrounding floor with a disinfectant wipe each day. Straighten towels after use or use hooks for a no-fuss look. Clean as you go when you cook to keep surfaces and pans easy to wipe up before food hardens. Wipe counters and stove surface after each meal you prepare to prevent tough, built-up grime. Take a few minutes to vacuum the kitchen every night. Consider a built-in product like the Vroom. Every few days while you’re talking on the phone or waiting for the soup to heat, clear the fridge of leftovers that won’t get eaten, then spot-wipe the glass shelves with a damp cloth. Every few weeks while the pasta is boiling or the chicken is on the grill, use a microfiber duster to dust cupboards and walls. Walk around most-used living spaces each night with a laundry basket and pick up items that don’t belong there. Take a few minutes to put those items in the places they belong, or delegate that chore to a family member. During television commercials, grab a microfiber duster and do a quick once-around the room on surfaces, window sills and baseboards. Put each day’s newspapers in a designated spot before going to bed. If you have small children and lots of toys that get used in common living areas, don’t bother picking them up all day long. They’re just going to get pulled out again, so stop wasting time and energy. Shoot for two or three five-minute sessions of cleanup each day, and engage your child in the process as much as possible. A tidied family room gives some peace of mind at the end of day for grownup hours when children are in bed, and offers children a sense of accomplishment. A made bed contributes more to the overall impression of a clean bedroom than any other effort you make there. Try to make your bed each morning and you’ll retire with a more serene feeling each night. 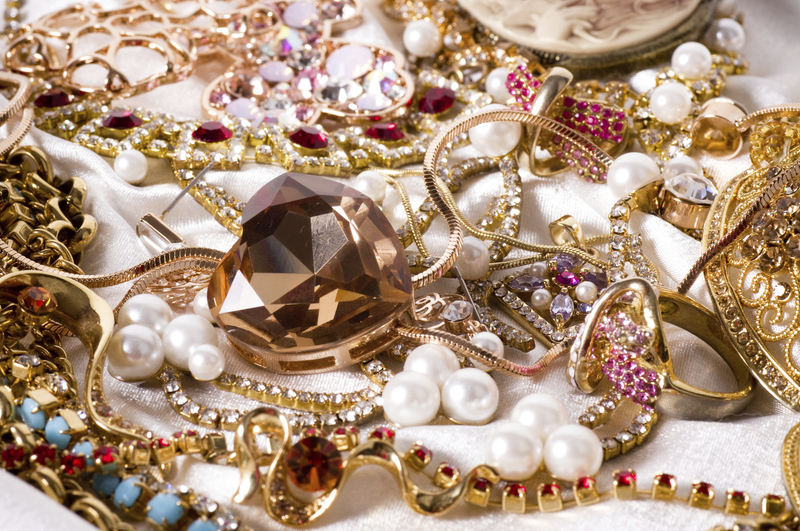 Use handsome jewelry boxes or valet boxes to avoid clutter—and unnecessary dusting—on the dresser. If clothes on the floor are a problem, get a coat stand with hooks, or fasten pretty hooks on the walls. At least clothes will be off the floor until you get the chance to launder them or hang them up. Changing sheets and bed linens can be done in less than half the time with two people. Enlist a house mate’s help. Close closet doors after use for a sleeker appearance in the room. If you live in a house of avid readers, choose nightstands that have cabinet bottoms with doors, so the bedside book stack can be stowed away instead of adding to clutter and trapping dust. This entry was posted in Cleaning Tips, Organized Living and tagged chores, Cleaning, cleaning tips, cleanup, organization on July 1, 2015 by arich9. A necklace rack is a great way to keep your favorites tangle free. You can find inexpensive ones or make your own and use all those craft supplies you just organized! A small corkboard and a set of T-pins works very well as does an old wooden coat hanger and loop screws. You can even repurpose a mug tree. For traveling, use a common plastic straw. Unclasp the necklace chain, take your straw and thread the chain through it then clasp it closed. You can use this trick for bracelets as well by cutting the straw down to size. If I had a dollar for every earring I’ve lost because of how disorganized I was, I could buy myself some fancy new earrings! Keeping these smaller items together is easy when you think in compartments. One of the cheapest ways to store these items is in small organizer boxes found at the hardware store for nails and screws. You can find ones a bit more elegant at the craft store or purchase acrylic ones and line with velvet material. When traveling, a daily pill box works great. Buttons can be used too. Simply put post through button opening and push earring back on the other side. An elegant solution to storing and organizing for home or travel is to purchase an organizer bag. They are designed to keep your jewelry neat and have special compartments to hold your items separately. Many of them roll up or can hang in your closet from a swivel hook. A cheaper alternative but effective solution for traveling is to use Glad Press and Seal wrap. Simply pull out a large sheet of wrap and lay your items on one side of it. Fold over the other side and press all the edges and in between the items to seal. It can then be rolled up and put in your suitcase or travel bag. This works well for headphones and other accessories, too. Sometimes disorganization is the mother of invention and the solution is easier than you think. This entry was posted in Organized Living and tagged jewlery, organization, travel on September 19, 2014 by Sarah Busch. Whether you’re a seasoned DIYer or just a beginner, exploring your creative side through seasonal or regular crafting can be pretty therapeutic. More than once, I’ve volunteered to make favors or created hand-made Christmas ornaments based on ideas I discovered on Pinterest. With countless sources of inspiration available, the whole family can get involved (and it’s a great excuse for some ME time)! Ashley and Noah have even invaded our craft drawer a number of times. However, all those supplies can get cluttered and disorganized fairly easily and leave you with a messy craft drawer and a fierce headache even a glass of pinot noir can’t fix. If you find your craft area overflowing with supplies, like I did, it’s time to buckle down and get organized. Once you’ve finished crafting, you can clean up bits of scrap paper, pencil shavings, googly eyes, and any other messes with a central vacuum system that’s more powerful than a traditional push model. With a variety of quick clean accessories, workshops and craft rooms can stay cleaner than ever with very little effort. This entry was posted in Organized Living and tagged crafts, organization on August 27, 2014 by Sarah Busch. It happens in spite of our best intentions. A birthday party here, a doting grandparent there, a neighborhood garage sale with deals too good to pass up, and you’ve got a story titled something like Toys Take Over. Ever notice how your kids can have a room stuffed with toys and end up playing for hours with the box your refrigerator came in? Sometimes the simplest things give more pleasure and fire the imagination, as well. Make toy selections with this thought in mind: Is this an impulse buy? How long will my child play with this in relation to its cost—not to mention the space it takes up in my home? Too many toys at one time can actually overwhelm a child. Store a third of them away at any given time—chances are unless you’ve mistakenly picked a current favorite, they won’t even notice their absence. Every month or so, bring back the stored toys and stow away some more. Your child will feel like it’s Christmas all over again, and the house stays neater. CHOOSE A STORAGE SYSTEM THAT SETS EVERYONE UP FOR SUCCESS. 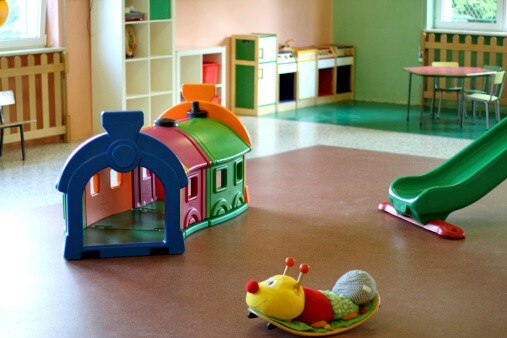 Resist the urge to aspire to a play area that resembles a stylish catalog photo, with a few lovely toys displayed for visual effect and the others stowed in neatly stacked, aesthetically pleasing containers, especially if you have toddlers. You’ll drive yourself, not to mention your kids, batty. Rather, be practical and set up reasonable expectations. Choose clear tubs or large baskets without cumbersome lids, so items inside are easily visible. Sort smaller items separately from larger toys; otherwise the small things just sink to the bottom and the whole tub will get overturned in searches for Mr. Potato Head’s hat. Some parents tape a picture of the toy category on the front of a bin to help their tots stay organized. If it’s difficult to keep toys confined to just one room of the house, you can hang a pretty gift bag on a door handle or stand one up in the corner to temporarily store playthings that wander in. Don’t stack bins more than two deep, and use low shelves. Avoid storage units with sharp edges, or add small adhesive cushions to their corners. Tall units are too tempting for little ones to climb in search of out-of-reach toys, with results that can be tragic. If you must use a tall unit, bolt it securely to the wall and keep items attractive to children only on the low shelves. Also, while your grandmother’s toy chest might be sentimentally valuable to you, it may not be practical. Heavy lids can smash fingers and heads, and if it’s painted, there may be a lead hazard. CHOOSE CLEANUP SESSIONS THAT WORK FOR YOU. Depending on your personal tolerance for mess, you can schedule mini-cleanup sessions a few times a day, or wait until bedtime for one clean swoop. Either way, expect your child to participate. Just make cleanup sessions age appropriate in length, and try to insert a measure of fun, like straightening up to the tune of their ABC’s or a favorite song. While it’s unfair to force your child to part with a favorite toy, there’s also something to be said for reassessing their treasures every so often. Some parents sneak out bags of old toys like thieves in the night, convinced their children never notice, but you can engage them in the process by offering some incentive for letting go of things they no longer really want or need. Have a garage sale and let them keep the money for the items they sell, for example. You can also introduce them to the idea that rather than letting unused objects collect dust in a closet, they can be passed along for some other child to enjoy. Again, keep the process age appropriate, and don’t think that just because Timmy won’t let go of his old blue race car that you are raising a selfish child; these things are best learned in small, easy-to-digest bites. This entry was posted in Organized Living and tagged kids, organization, playroom, toy rooms on May 28, 2014 by aboone2001. Is the holiday aftermath overwhelming you? Why is it the tree that looked so festive begins to loom larger than life after New Year’s Day? And that darling collection of glass snowmen glares accusingly from their place on the mantel? Take a deep breath and a few easy steps to restoring order to your post-holiday home. • One thing at a time. Unless you have a sudden burst of energy and a space of several hours, work on one section of the house at a time. Clear one tabletop at a time. Then concentrate on the tree. Family members can be responsible for removing their gifts from under the tree and putting them away. Clean the leftovers out of your refrigerator, freezing what you can and discarding small bits of this and that. If you live in a cold climate, take advantage of any break in the weather to remove outdoor lights. By breaking holiday cleanup into smaller, manageable pieces taken on one at a time, you will see steady progress and not end up with an even more overwhelming chaos of cartons and boxes all over the house. • Motivate yourself with some fresh organizational helps. Replace a jumble of cardboard boxes with a few sturdy plastic tubs to store Christmas ornaments and decor. Wrap fragile pieces in pretty tissue saved from gifts. Label clearly for easier access next year. Wreaths can be covered with labeled garbage bags with the hook poking through the top so they can be hung in a basement or attic. If you buy a new comforter, save the plastic bag it came in. It will store and protect a large wreath easily and visibly. • Lights can be less annoying. Want to avoid the choice words over tangled strands of lights next year? Save cardboard wrapping paper tubes or buy plastic pipe, then wrap your lights around them, securing them at both ends. Next year, you can unwind them by circling the tube around the tree. • Bundle up Christmas cards and store. Next Christmas, you can revisit them to keep your own card list current. Use the fronts of last year’s cards as pretty gift tags. • Transfer dates onto your new calendar. Save last year’s calendar and use it to mark important dates like annual medical checkups, birthdays and anniversaries in the coming year. If you have a space for them, old calendars are worth keeping; they can be useful records of family history. This entry was posted in Organized Living, Uncategorized and tagged organization, post holiday, storage on December 30, 2013 by aboone2001. More people (me included!) work from home than ever before, whether as full time entrepreneurs or employees with flexible arrangements with their employers. Creating a home office space that allows you to function comfortably and efficiently will not only reduce stress levels and improve your attitude about work, but actually increase your productivity. All that from a tidy office? Think about the last time you wasted precious time locating an important file folder or essential piece of information you had scrawled on a piece of scrap paper. Ever ruined a finished document because you didn’t see yesterday’s mug of coffee hidden behind that stack of papers you shoved aside? Help is on the way. Consult my tips and convert your disorganized work space into a place that works for you instead of against you. Key to success: know your work style and design a system that realistically addresses it. To see or not to see. If you are generally a tidy person, filing cabinets are your friend. You take out the file you need when you need it and return it to the filing cabinet when you are finished, keeping your desk clean. But for many people, filing cabinets are like a black hole: if they can’t see what they are working on, they forget about it. 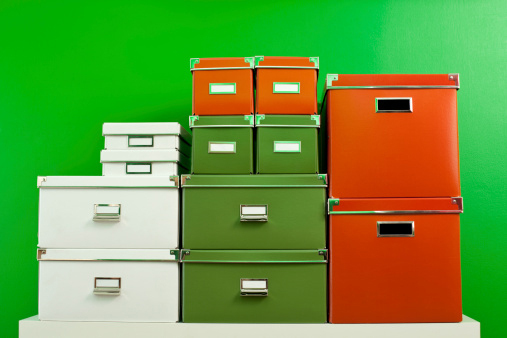 If that sounds familiar, use your filing cabinet for storing archival matter that you rarely refer to. Then buy five or ten or twenty economical but good looking containers, all of the same style, and line them up on shelves. How you categorize these files can be highly personal and even quirky, as long as you understand what they mean. All those little snippets can go in their own subject file along with the official memos and documents. Caution: Avoid the “miscellaneous” file if at all possible. It’s the equivalent of the kitchen junk drawer. Think vertical. Not everyone has the luxury of a spacious office, and some people must share office space at home. To make the most of available square footage, think vertical shelving, files, even hanging small buckets or baskets for holding essentials like tape, scissors, sticky notes and staples. Wall space is valuable real estate when it comes to storage. The magic of three. Keep three stackable bins on your desk. One is your “in” box, one is your “action” box, one is your “file” box. Put new stuff “to be handled” in your “in” box. Current projects go in your “active” box. Once a project is completed, move it to the “file” box. Don’t forget to actually file it, so you can put your hands on it again when necessary. Some people are comfortable with going completely digital with their archives, which certainly frees up space, but if you want to err on the side of caution, keep a hard copy of any critical documents. Take five. Even in a digital world, there seems to be no end to the amount of paper clutter that flows into our lives on a daily basis. At the end of each day when your energy is too low to focus on demanding tasks, take five minutes to clear your space. Go through your inbox and file box and place items in their appropriate bin or file folder. Toss or recycle whatever you can. Not only are you preparing a less stressful environment for you to enter the next morning, the physical act of clearing your work space will also serve to clear your head, transitioning you into the next part of your day. Set boundaries. Just as you wouldn’t dream of entering a fellow employee’s cubicle to casually use their equipment, rummage through their supplies or leave Snickers wrappers on the desk, housemates and family members may need gentle (or not-so-gentle) reminders that your office space must be respected. Even if you share a computer or supplies, everything should look exactly as they found it after they leave. The seat matters. Home office organization experts seem to agree that a quality desk chair is worth the investment. Think of it like your bed; you spend a lot of time in it, so it should be comfortable, ergonomically correct and pleasant to look at. Don’t forget aesthetics. Creating a sense of personality and visually pleasing surroundings doesn’t take a lot of time or the services of a professional decorator. Paint your office a color you’ve always wanted to try. Hang a colorful poster, family photos or handsome prints on the wall. Get a decent area rug. Have a small shelf of toys for frustrating moments or interminable conference calls. Splurge on a few cut flowers now and then, and keep some favorite CD’s handy. Just because you’re working in there doesn’t mean the environment can’t be homey. This entry was posted in Organized Living and tagged cleaning tips, healthy living, home office, organization, work from home on September 26, 2013 by Sarah Busch.